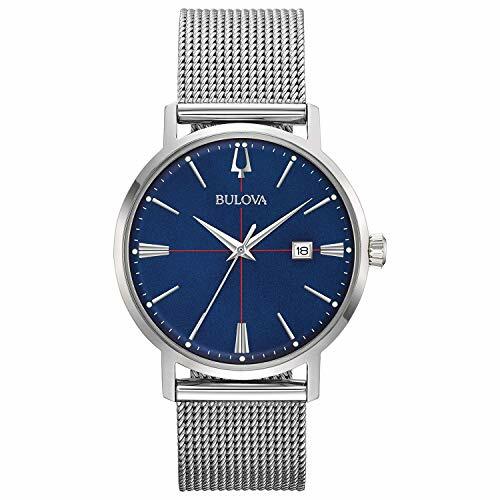 From Bulova’s Classic Aerojet Collection comes this timeless and elegant Men’s watch . Designed with a stainless steel case it displays rose gold-toned accents on a silver-white dial with a three-hand calendar feature. The watch is completed with a smooth grain black leather strap with three-piece buckle closure, and water resistance to 30 meters. Bulova Classic Collection. Case Material: Stainless Steel. Band Material: Leather. Diameter of Case: 39 mm.